I recently saw a close-up photo of a shark with very visible Ampullae of Lorenzini which sort of led to this. 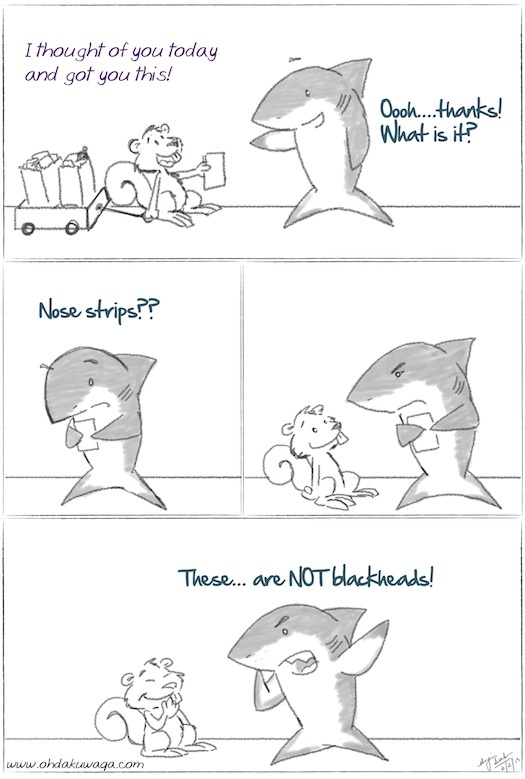 I wanted to draw them on the shark to make the point but it ended up looking like facial hair! Besides, you can't see them from this far away.